You want to start your blog on the right track! Everyone wants to grow their blog audience. You want to start a blog and get readers? I will tell you how to start your blog to get traffic. As a beginner, you want to start a blog to be successful. You need a simple plan to grow your blog traffic. Are you trying to figure out what to do next? It's simply by creating better content. It really depends on you what are you doing for traffic. 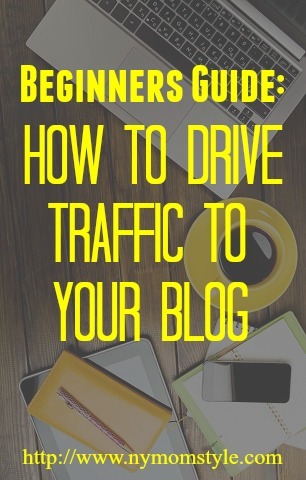 Learn the steps how to grow your blog traffic in these easy steps. What's in a name? Choose a blog name carefully. Pick a name that is catchy and a domain name that's not used. Think of what you're going to blog about, target audience and what will interest readers and brands. Pick your won blog name. Don't use a similar blog name or copy from someone else. You must be original. These are the titles for your blog navigation menu bar. Write well and write often on your blog. Your steps to build your readers. Write content that will keep the reader interested in coming back. Pick a title for your post that will stand out and help increase traffic to your blog. What Holiday Toy is ________? Create an account and your blog to the social network websites to create traffic to your blog. Add your blog to online blogger communities. Join Facebook groups to connect with bloggers, add your blog giveaway and promote your blog. There are so many great groups on Facebook for bloggers to join. The site will help promote and increase traffic to your blog. Get your blog on popular search engines from Google and Bing. Search engines provide a "Submit" link for your blog. I'd recommend bloggers install Google Analytics (which is free), and watch to see where your visits originate. This will give you the source for drive quality traffic. Make it a two-way conversation. When readers ask a question. Respond back this will help increase readership. It's always great to submit your blog to many websites and get backlinks, This helps to get noticed by search engines. Send your article post out in a blast email or newsletter to your contacts. This is how your subscribers will go visit your blog. Share your latest article post on Twitter, Facebook, Google +, Pinterest, Mode, Tumblr, Linkedin, Instagram, StumbleUpon, Reddit and Buzz Feed. This will increase traffic and let others know about your post. Take the time to add tags to all of your blog posts. Tags will drive traffic to your blog and easy to be noticed on search engines. When you write a blog post and pages. Include relevant keywords and links. Just don't add too many keywords or may seem spammy. This will help you optimize your page for search engines. If you want to be noticed so people can find you in search engine listing. Don't forget images and videos help and name it. It will boost traffic to you. Proof reading your blog for spelling and grammar are correct. Being consistent – writing regularly and if possible once a week or more. Have an About Us page telling people who you are and what your blog is about. Make sure your blog looks professional and the style is consistent. As a 6-year blogger, I agree with all of these tips! Some are even ones I really need to be better at. I start to get complacent, but articles like this can help re-energize me and my passion for my blog! I think installing Google Analytics is definitely number one in my book! You've given us some good advice here, thanks. Thank you for giving some great tips. I think the biggest thing for me is the Branding and having a clear focus on what you want your blog to be about. You may have a different topics but it all works with your blogs theme. Thanks for the advice those are some great tips. Im looking to grow more on my blog as I sometimes neglect it due to youtube or instagam. But your advice was much needed. Super, super helpful!! Especially for a travel blogger like me, this post is so important in driving traffic to my site. Thanks for sharing! These are great tips and a few that I need to get better at. I need to work on my titles a little better and make sure to post more consistently. Thanks for these reminders...I am doing most of these! Blogging is A LOT of work, and very difficult to keep up with when it's not your day job! Everyone always starts somewhere, and this is a good way to get started. Social media can be overwhelming, but successful bloggers truly LOVE making connections online! I need to get a few more systems in place to help streamline my daily processes. I have been blogging for 8 years, but only started to monetize my site the past two years. These are some really good tips. I joined several organizations and have attended a couple of blogging conferences that I feel really helped up my game. Hi Paula, I agree with you. When readers ask questions, it's good to respond to their questions. They would keep coming back. Love these tips! I've been blogging for so long, many of these things feel second nature now. I really wish comments on my blog could be more of a conversation. I find myself answering questions without knowing if the people come back for my response.